With almost 2 m of cleaning width and two side brushes, Duemila ensures high performance and strength when cleaning large surfaces also in the more demanding use sectors such as the ceramics, foundry and cement industries. The Diesel version can be approved for road circulation and is ideal for car park cleaning. 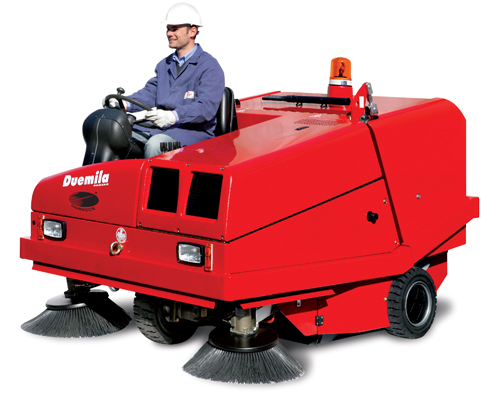 Its simplicity to use and maintain, reliability and low running costs make Duemila particularly suitable for hire.